When thinking of adjectives to describe my 1st choice for ‘Woman Crush Wednesday’, I wanted to pick something that would be appropriate to the character and actress I had chosen. I had begun to think about football teams (my mind works in strange ways, deal with it) and for some reason, the Cameroon national team popped into my head. They are known within their country and around the world as ‘The Indomitable Lions’ and it stuck me that there was no better way to describe Pam Greer and her breathtaking performance in Quentin Tarantino’s classic, ‘Jackie Brown’. Jackie is a 40-something year old black woman. Beautiful, powerful, but clearly tired of a life of servitude in her career as an air stewardess and sideline work as a cash courier for her charismatic but deadly employer, Ordell Robbie (Samuel L. Jackson). This kind of work is obviously beneath her, but our lioness Jackie is trapped. Then, chance and a run in with Detective Vargas (Michael Bowen) and ATF Agent Ray Nicolett ( Michael Keaton) presents the quick thinking Jackie with a way out. Whilst those around her bumble their way through, believing they have her in their control, Jackie hatches a brilliant plan to free herself from their clutches and walk away with half a million dollars. As her plan unfolds, she and partner in crime Max Cherry (Robert Forster) enjoy a beautiful romance, full of the knowing looks and understatement that only two people who have seen it all could ever truly experience. Jackie is not afraid to show her vulnerable side to Max, reminding us that underneath her tough exterior beats a perfectly human heart. She roars at her enemies with a ferocity that tells them plainly, this lioness cannot be tamed, only respected. Where to begin with Pam Greer’s performance? Being one of ‘Thatcher’s babies’ meant I missed out on the ‘blaxploitation’ era, so I was only able to enjoy the likes of ‘Coffy’ and ‘Black Mama, White Mama’ at a much later time, but I think her performance in ‘Jackie Brown’ deserves to be remember alongside those greats. 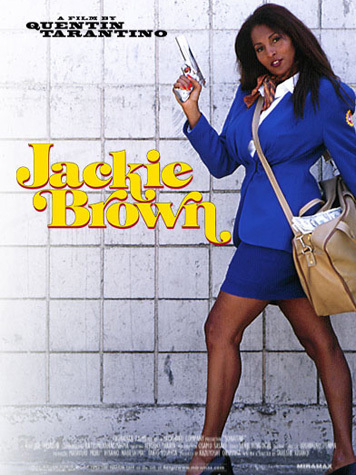 When I first saw ‘Jackie Brown’, I had just started my A-Level Media Studies course at college. My lecturer was a particularly mousy and largely forgettable woman. Now, I don’t mean that in unkind way, after all, she helped me pass the course, but at the time all I could think was “why can’t every woman be like Jackie Brown?”. Greer had a particular way of dominating the screen despite having to share it with her highly skilled cast members. Even in scenes where she is under threat, Greer enthuses Jackie Brown with a fearsome pride and courage. Director Tarantino gives Greer the spotlight, and she seizes it with both of her mighty paws. The situation Jackie is placed in could happen to anyone of us, but how she responds to it and ultimately triumphs is purely down to her unique strength of will and clear headed planning. I could write a much lengthier piece about the genius of ‘Jackie Brown’ as a film. In my opinion, it remains Tarantino’s strongest film. He showed to the whole world that he could handle an adult tale of love and identity, a bunch of lost souls trying to find their place in the world. The style and aplomb with which he accomplishes his vision is testament to his tremendous talents as a film-maker The editing, production design and a rip-roaring soundtrack are a sumptuous feast for the viewers eyes and ears. Tarantino provides a clear demonstration of his ability to present the complexity of human relationships in a hugely satisfying way, bringing a fresh take to the well trodden genre of Crime Thrillers. The cast are all truly outstanding, Samuel L. Jackson is both hilarious and terrifying. Bridget Fonda is full of wit and charm as the laconic Melanie, Robert De Niro is a mumbling, shuffling, fidgeting masterpiece as the fresh out of prison Louis Gara and Michael Keaton delivers Ray Nicolett with his usual vim and vigour. Robert Forster as Max Cherry is nothing short of superb. You can genuinely feel his world-weariness and wisdom. As as a man probably wasn’t looking for love, but once it hit him he was willing to do almost anything for it. His performance shows us all just what it truly means to be in love. Of course, we cannot honour the film without honouring the late Elmore Leonard’s terrific novel ‘Rum Punch’ on which ‘Jackie Brown’ is based. without Leonard’s original book, none of the brilliance of the film would exist for us to enjoy again and again. I urge you all to give the film multiple viewings, the more you watch it, the more layers you peel away and the more you will discover. Legend has it, that Tarantino and Producer Roger Avery were hesitant to contact Leonard once they had completed the script as they had made a number of changes, including changing the lead character from the white Jackie Burke to the black Jackie Brown, but once they did, Leonard remarked that not only was it the best adaptation of his work that he had ever seen, he felt it was possibly the best screenplay he had ever read! Jackie Brown is a phenomenal character and only Pam Greer could have played her in the manner that was befitting of such an iconic woman. I am convinced that in time, others will show even more appreciation for her as I have done and that ‘Jackie Brown’ as a movie will be remembered for the stunning work of art that it is. 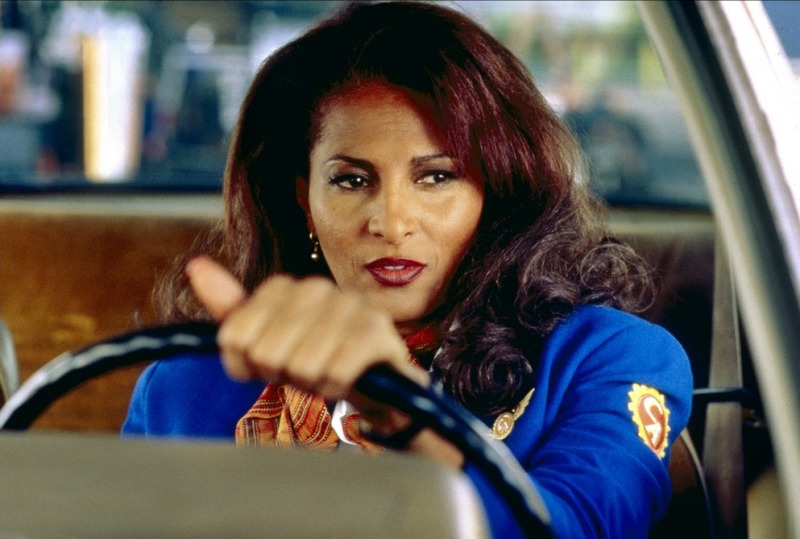 So, for my first ever ‘Woman Crush Wednesday’ post, I submit to you dear reader, Jackie Brown. The warrior, the lover, the inspirational leader. Long may she reign as queen of her kingdom.